On your Japan winter holiday there’s a high chance you will spend some time passing through Tokyo city, and in a place so large it’s easy to be overwhelmed with options. Fortunately there is plenty of entertainment to cater to all interests and budgets. If conditions are nice outside, simply wandering the streets soaking in the sights and sounds is a satisfying way to fill a day, but if you’re looking to visit a specific location we’ve got some great indoor options lined up for you – especially useful if you arrive in the middle of winter to find things wet and chilly outdoors. A retro video game lovers paradise, Super Potato in Akihabara is five floors of classic gaming nostalgia, the place to find functional if slightly yellowing SNES (Famicom) consoles, Game Boys, Sega Saturns and peripherals; fancy some classic Duck Hunt? This is the place to find the last surviving Zapper Light Guns! 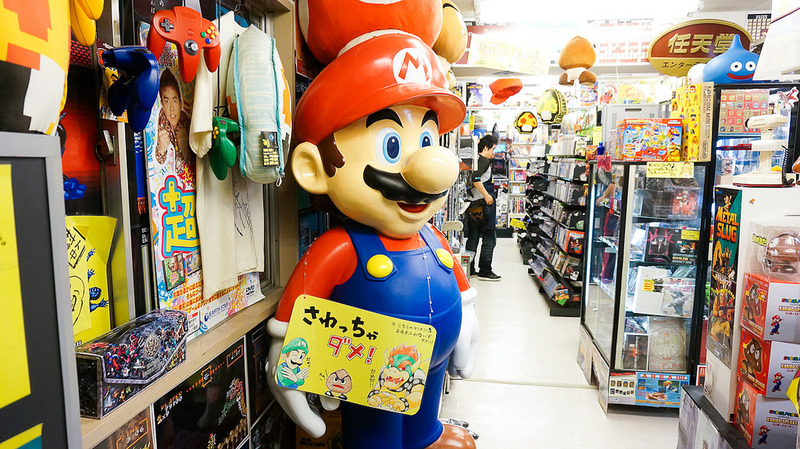 Among the stacks of consoles and cartridges, there is also a great selection of toys and collectables, as well as a retro game arcade on the upper floor – they even sell retro snacks and pop drinks to complete the immersion. As the birthplace of gaming’s most memorable characters, this is a must-see location whether you want to revisit old memories or take home a Japanese version of Ocarina of Time for N64. 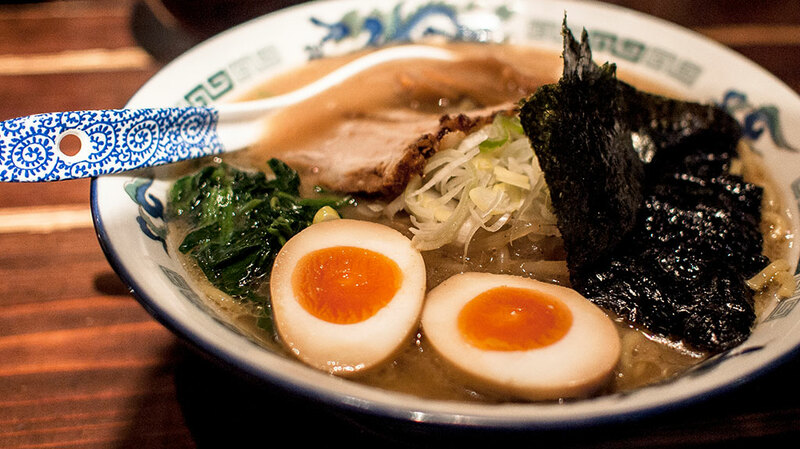 Cheap, tasty, filling, and available in a plethora of varieties; ramen is the backbone of the Tokyo denizens diet. With over 20,000 Ramen restaurants available in the greater Tokyo region you will be spoiled for choice on your quest to quench the rumbling in your belly and you’re guaranteed to find a tasty eatery in close proximity to any station. Most Ramen restaurants are cosy, privately owned affairs with a single row of slurping salarymen lined at the counter. To join their ranks, simply look for the vending machine next to the entrance, peruse the listed options, insert cash and press the button corresponding to your desired dish to receive a small order-ticket. If you can’t read the menu items, a handy tip is that the top left option is usually the house special or standard dish. You can choose ramen, sides, and usually beers and cola here before handing the tickets over to the dutiful kitchen staff and being shown to your seat. Ramen is considered a fast food in Japan, and shop staff encourage a swift turn-over of customers. As such it’s recommended to promptly yield your spot to the next customer – especially if there is a line-up outside – rather than submitting to the food coma or idly chit-chatting after your meal. There is much to be said about the ever-evolving ramen scene in Japan, and devout gastronomes would have plenty more to say than we can fit here today – be sure to squeeze a few bowls into your schedule this winter! 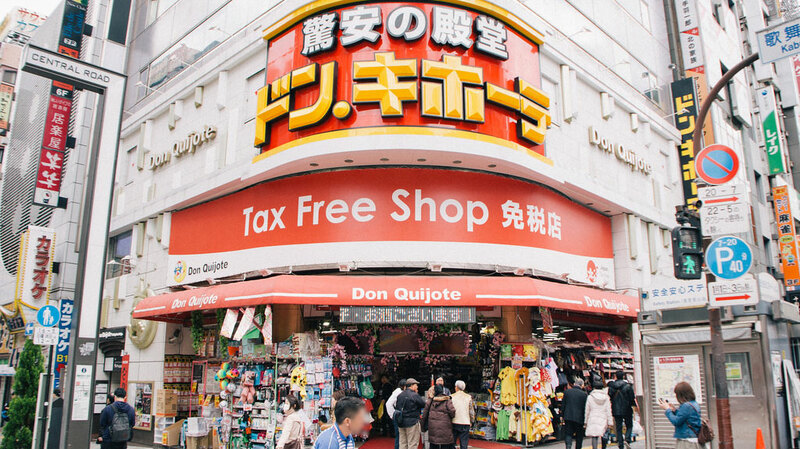 Visiting a department store might not sound like a great deal of fun initially, but the nationwide Don Quijote chain is the stuff of legends; a 7 story labyrinth of shoulder-width alleys, alcoves and nooks containing everything from affordable electronics and homewares, to clothes, food, toys and souvenirs. The upper floor usually contains lavish designer items such as Rolex watches and Louis Vitton bags. This is every shoppers first choice when they need to grab something in a pinch, and should be at the top of your list when looking for an interesting souvenir to bring home or to replace the scarf you left on the plane. Donki stores are located near most major train stations – keep an eye out for Gundam Robot models in the toy section! There’s nothing more quintessential to people’s hearts when it comes to first impressions of Japan, than curling up on the couch to watch a Hayao Miyazaki movie and proceed to fall in love with Anime. 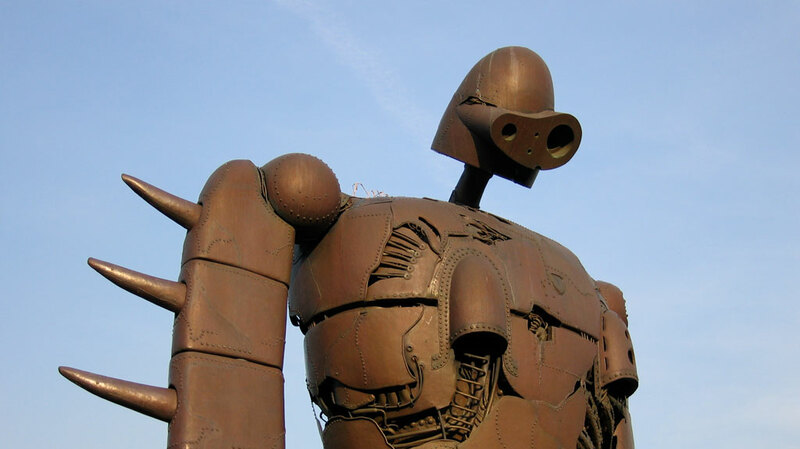 At the Ghibli Museum, you will get an inside look at the development process for some of your favourite childhood characters, as well experience the process of bringing them to life in the mesmerising animation displays. There’s a charming short film available exclusively to museum guests, the kids can enjoy frolicking inside the cat bus, and of course, there are some great souvenirs at the shop. As the golden glow of the sun gives way to the neon flicker of the city, a whole new range of activities and establishments open their doors to the public. Sightseeing at night, you will find yourself immersed in scenes your favourite sci-fi films were inspired by. 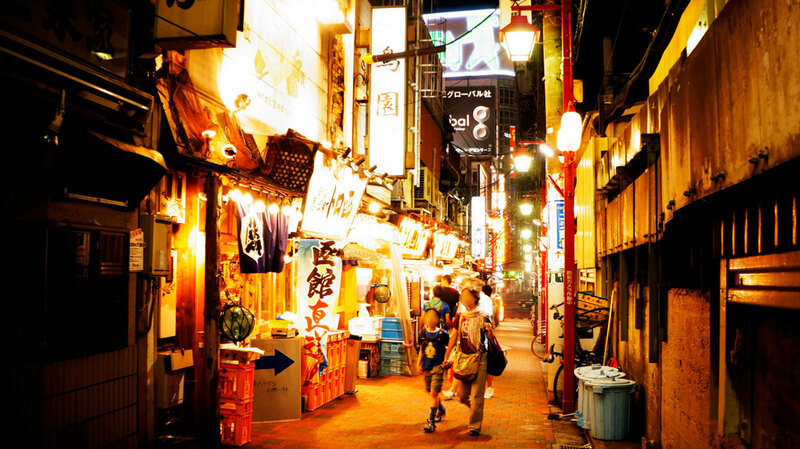 This network of alleys near Shinjuku Station comprises more than 200 shanty-style bars with a wide range of themes – most with room to seat no more than 5-10 people. Whether you love a particular genre of music, would like to experience sake served by a kimono-clad hostess, or prefer the idea of enjoying your beer in the company of cats, Golden Gai is definitely worth visiting. The area is unique for being one of the few central areas that is less built up, having escaped burning by Yakuza in the 80’s as they tried to sell valuable land to developers. 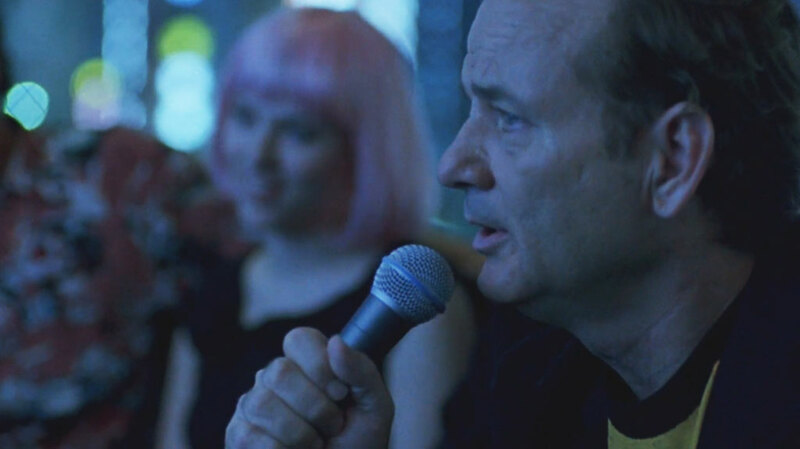 For bonus points, there is a cheap open mic karaoke bar at the entrance to the bar area where you’re guaranteed to bond with fellow travellers and Japanese alike, over a wailing rendition of By The Way – Red Hot Chili Peppers. If you prefer a quieter scene, you can find the serene Hanazono Shrine on the opposite side. The Meetups app makes finding something to do easy no matter where in the world you are. A popular option in the Tokyo area is the group language exchanges – where travellers and locals bond over a few drinks and test their language skills. Some of these are as simple as meeting at a bar and chatting, while others include a variety of games and challenges to really bring people out of their shell! You can also find zumba, latin dancing, cooking classes, pub crawls, comedy shows, photo tours and even a Dungeons and Dragons game nearby if you’re lucky! Using Meetups or the Facebook “Events Near Me” function is a great way to find something interesting nearby in a pinch. Nothing says “Nightlife in Japan” more than picking up the mic and belting out some 90’s pop classics. Most karaoke venues in Tokyo are large chain stores with at least four floors of private rooms to choose from depending on your group size. 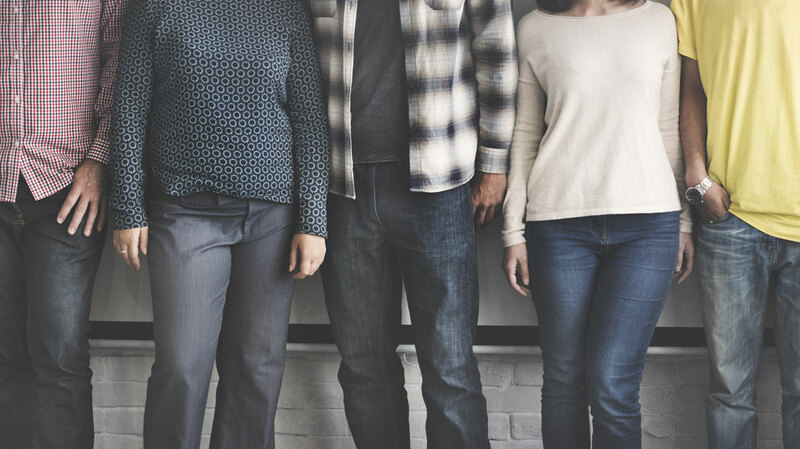 One member of your group will usually need to sign up, filling out a form and having ID scanned – but from there you’re free to sing to your heart’s content for as long as you like! These venues are usually operating 24hrs, provide a multi-lingual karaoke interface, and include food and drink menus. A particularly attractive selling point is that there is usually a “nomihodai” option (all you can drink) which pairs remarkably well with the desire to demonstrate your crooning skills until sunrise. Be wary of the time spent enjoying the karaoke rooms as prices can accumulate quickly every 30 minutes. For those seeking a sophisticated evening with classy cocktails, cool jazz, and a stunning view of Tokyo then the best way to start your night is by catching the elevator to the Peak Bar on the 41st floor of the Park Hyatt in Shinjuku. Arrive by 5pm to enjoy the Twilight Time special which includes buffet style canapes, all-you-can-drink cocktails, and a panoramic view of the greater-Tokyo skyline as the sun dips below the horizon. From here you can head up to the 52nd floor New York Grill where a succulent menu of quality beef, fresh fish, and rotisserie chicken accompanies an extravagant wine menu. 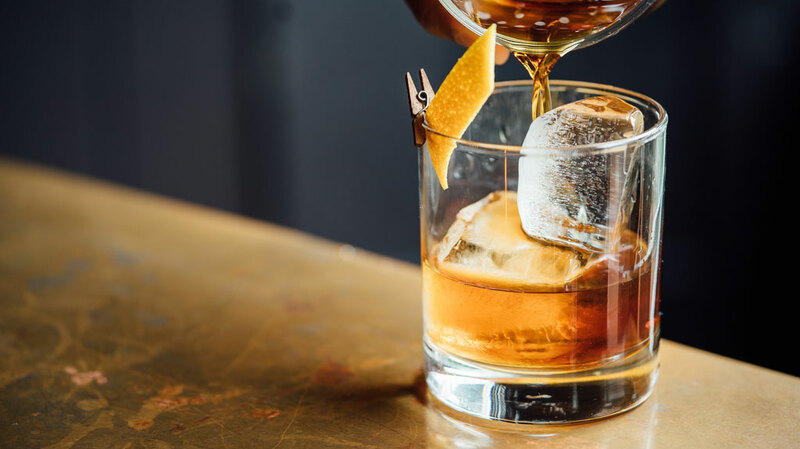 Pull up a stool at the New York Bar after dinner for a premium cognac and enjoy the live Jazz as the city lights sparkle below – it doesn’t get much classier than this! There’s so much to see and do in Japan’s cities that we’ve barely scraped the surface, so be sure to take advantage of any extra time to explore! Looking for stopover options in Tokyo with your next Japan winter holiday? Contact us for details on the best hotels, and the best snow holiday packages!